Install php7, nginx, MariaDB and WordPress on Debian Jessie for a lean LEMP stack to serve your web site. I am migrating my Digital Ocean VPS from the smallest droplet to the 1 GB droplet. I currently run Apache, PHP, MySQL 5.5 and Varnish 3.x on this VPS droplet. I’ve been advised by many to switch to nginx and MariaDB to boost performance so I am documenting the working LEMP installation on my new droplet. Other tutorials related to your VPS include installing Varnish 4 (guide) for high speed caching, Redis (guide) and memcached (guide) for object caching, setting up a Web Application Firewall and the CSF Firewall (guide). We will be using the fantastic dotdeb repository which works on 32-bit and 64-bit distros (sorry ARM users). 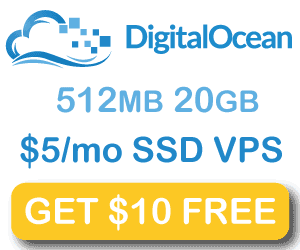 Future posts will include monitoring these services on your Digital Ocean VPS. I use the dotdeb repo as they compile nginx with useful addons like x-cache, pagespeed and others. They usually have the latest stable nginx build as well. Add these values in the server block or adjust them if they are already there. The client_max_body_size is the largest theme or plugin you’ll be able to upload (here 8 megabytes) so adjust that if necessary. It should match the upload_max_filesize in php.ini. The dotdeb repository has precompiled php7 packages for Debian Jessie. php7.0-fpm is used for serving PHP pages for nginx. Note that the benefits of opcache which speeds up your site significantly will be enabled by default with these packages. Adjust pm.max_children to 10 (make sure there is no leading ;), this is may be higher than necessary, see the formula link below for more precise calculations. Note that for the php7.0-fpm www.conf configuration above, you may want to adjust it following this formula in the future. Change your timezone by removing the ; semicolon and adding your country/city (list here). Use a larger maximum upload size because some plugins are larger than 2 megabytes. If you have a large menu like mine with tons of menu items, increase the max_input_vars. MariaDB is a MySQL drop in with better performance, luckily it’s in the Debian Jessie repo so installing is easy. Create the SQL WordPress user, database and grant privileges. Note that this is not the WordPress user you use to log on but the credentials WordPress needs in wp-config.php to store posts and options in the database. If you are curious about any slow queries or queries not using indexes, enable these features by adding the configuration lines below. Adjust these settings so WordPress can connect to MariaDB. They are the values from when you created the SQL WordPress user. Paste this secure WordPress nginx configuration, if you want to only use domain.com or www.domain.com see this post. Now you can enter the IP address of your host into a browser and begin the 2 step process for installing WordPress on your VPS or dedicated server using nginx, MariaDB, php7-fpm. For new guides on WordPress and VPS hosting see my new site WP Bullet. 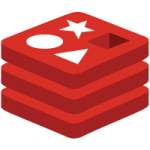 For additional speed use Redis object cache (guide here) to ease the load on the MySQL server. I recommend using CSF Firewall (guide) to secure your server and using Monit (guide coming) to monitor the health of these services. For speeding up your site, consider using nginx’s fastcgi caching, personally I prefer using Varnish (guide) so that I can more precisely control the cache – warming up, specifically emptying cache for certain posts, categories etc and selectively purge static files.